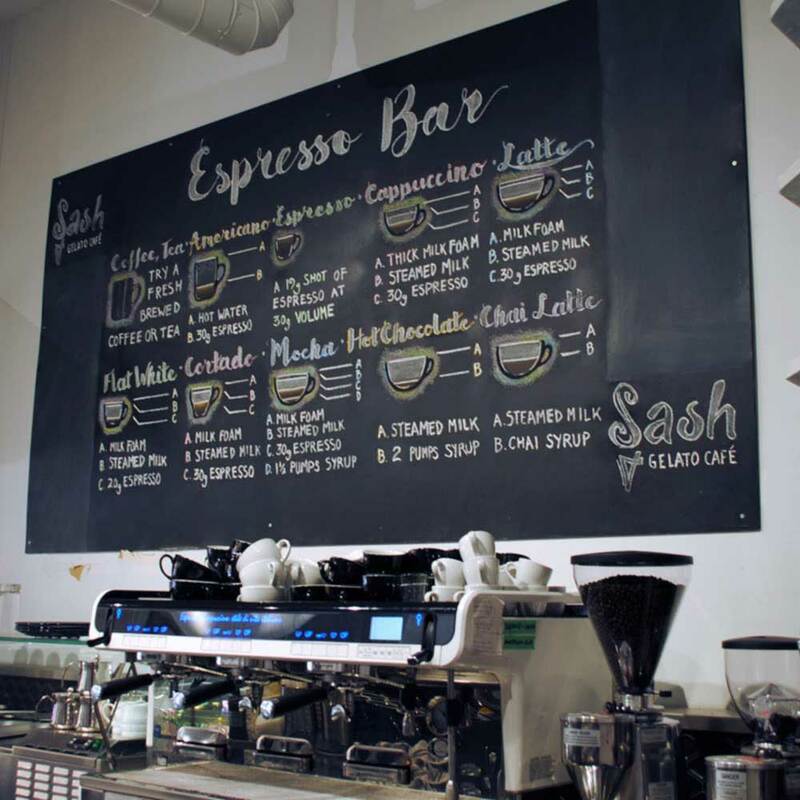 This hand lettered, illustrated coffee menu was created for a specialty gelato and coffee shop, Sash Gelato Cafe, located in Ottawa’s historic Byward Market. The illustration has been sealed, leaving two spaces open for additional information. This chalkboard stands about 1.5 meters tall and 2.5 meters wide.